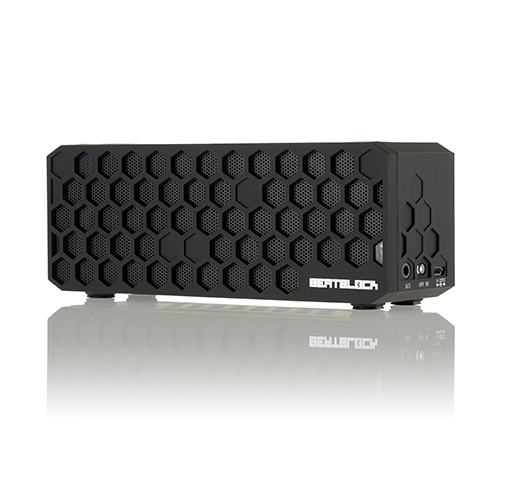 The BeatBlock Bluetooth Speaker is a small yet powerful bluetooth speaker that you can use on or off the outlet and with any of your bluetooth-enabled (or not) devices. The speaker is made by Tech-Life and is available from Tech-Life’s Amazon page for $89.99. Let’s see if it is the speaker for you. The first thing that you will notice about this speaker is that it is light and small. The speaker is easily able to fit inside a large purse or travel bag and light enough where it won’t feel like you are carrying a brick, which is actually bigger than this speaker. The speaker is made in all black. It has a very durable rubber padding around it that has honey comb holes in it, which I think is an interesting concept, but it seems to be quite effective and looks pretty cool. The honeycomb design, or really the hexagon shape is found all around the speaker. The buttons on the speaker are hexagons. As I said, the holes where the sound comes out of are very closely put together hexagons, like a honeycomb. The speaker holes and even the rubber pads on the bottom are hexagon shaped. I think that keeping the same shape throughout is a smart move on their part as it adds to the look of the speaker, as opposed to using multiple shapes and not creating uniformity on the device. As I mentioned before, the speaker is covered in a very hard, durable rubber that is capable of taking some big hits. 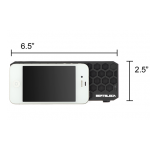 The speaker is meant to travel and it has the greatest protection of any travel speaker that I have seen. The buttons on the top are simple enough, with icons on them representing volume up/down and bluetooth controls. On the side you have your charging port, on button, and the auxiliary port, this is where the male/male headphone jack goes for wired sound. In my opinion, it may have been a better choice to have put the off/on button on the top instead of on the side to allow for easier access, but it is not a big problem. Overall, this speaker excels in it’s form. Portable speakers have a knack for earning bad reputations because they are over-priced and never sound like anything close to high quality. Fortunately, this speaker has put a stop to that. 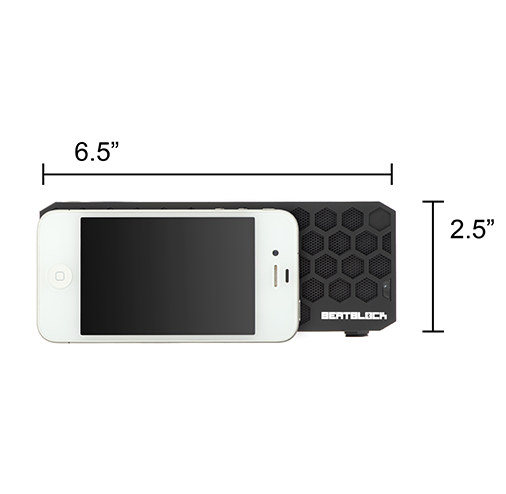 The BeatBlock speaker may be small enough for travel but it packs the power of speakers many times bigger than it is. The speaker has incredible sound, whether through bluetooth or otherwise. The speaker, despite it’s size, is capable of producing some pretty good bass and treble and it can hit many lows and highs. Unlike many other small speakers, I have not heard the “it’s too loud therefore it sounds like it’s in a hollow cave” sound. No matter what volume I put these speakers under, they retain the same clear quality and that is something not seen much in portable speakers. The speaker, despite the fact that there is only one of them, can produce stereo sound, as if the music is surrounding you by two speakers, one on the left and one on the right. You can put it in Mono if you so choose to but the stereo mode sounds great. Music isn’t the only thing that sounds great on the speaker, either. The speaker also acts as a speakerphone so that you can conference hands free on your desk or elsewhere. The audio coming out of the speaker sounds great and your voice sounds great on the other end as well. The sound from such a small device is incredible and not like the sound from any other speaker in it’s category. The device is streamlined to work with your bluetooth devices so they connect automatically and it works every time after you set it up the first time, which should also be an easy process. Bluetooth has been long acclaimed to be one of the best wireless technologies and the streamline between device and this speaker further proves that notion. 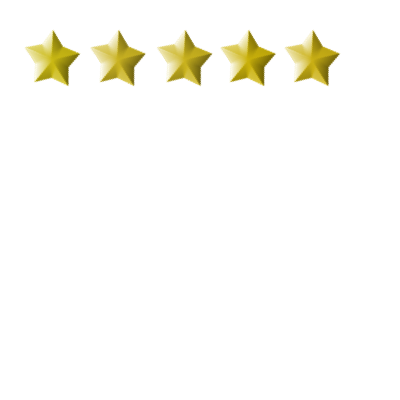 This speaker has the best functionality overall than any other I have reviewed thus far. If I were the company, I would consider making these speakers in multiple colors just to add a bit of fun into them. Also, putting the power button with the other buttons would be better as it would streamline the device a bit more. This speaker is really great speaker. 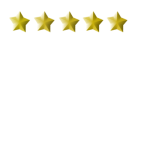 It’s the best speaker that I have reviewed in it’s category so there is no doubt in my mind that it earns no less than five stars from me. If you are looking for a travel speaker to take with you where ever you go, I implore you to look no further, you have found the one you are looking for. Great job Tech-Life!